Redensifies and tones the skin. 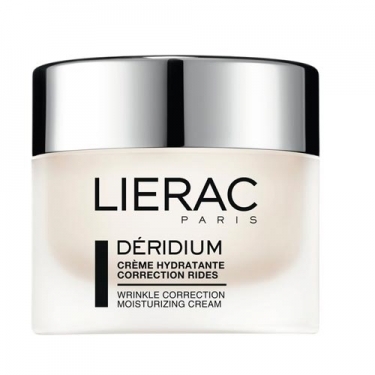 DESCRIPTION: Déridium Crème Hydratant from Lierac is a care anti-wrinkle face cream, specially formulated for normal to mixed skin with the first wrinkles. 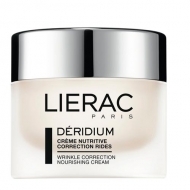 Its anti-wrinkle action prevents and corrects aging of the skin and regains its elasticity. With antioxidant and anti-inflammatory properties, they combat the formation of free radicals, protecting the skin from premature aging. 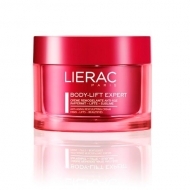 Its soft texture moisturizes the skin, giving it a feeling of comfort. Formulated with mackerel complex, ivy-vine and lion's leg, it prevents and corrects the aging of the skin and helps to regain its elasticity. With Equinàcia a plant with anti-inflammatory properties. 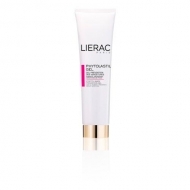 Enriched with almond extract that has a moisturizing action. 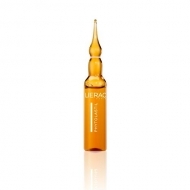 With Vitamin E, an antioxidant, which combats free radicals preventing premature aging. Massage gently with circular motions to penetrate the cream.